Arrupe Jesuit High School was named for Fr. 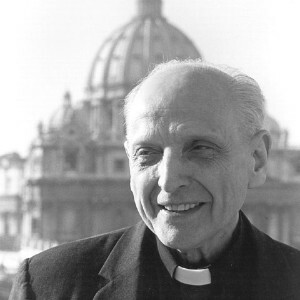 Pedro Arrupe, SJ Born in 1907 in the Basque region of Spain Arrupe was ordained as a Jesuit priest in 1936 and was appointed Jesuit superior and the master of novices in Japan in 1942. He was living in suburban Hiroshima when the atomic bomb fell in August of 1945. He utilized his medical skills in the service of the wounded and the dying; transforming the novitiate into a make-shift hospital for over 200 grievously scarred human remnants. He eventually was appointed the provincial superior of the Jesuits in the Japanese province. On May 22, 1965 the thirty-first general congregation of the Jesuits elected Fr. Arrupe as the twenty-eighth superior general of the Society of Jesus. In his years as superior general, Fr. Arrupe promoted his belief that religious faith, as expounded in the gospel, must oppose oppression and injustice, alleviate poverty and eradicate racial discrimination. In his address to Jesuit Alumni in July, 1973 Fr. Arrupe called upon Jesuit schools to educate men and women to serve others, an ideal that now guides Jesuit schools across the world. Arrupe Jesuit High School is the 47th college preparatory Jesuit High School in the United States and was designed primarily to serve the economically disadvantaged in the city of Denver. Arrupe was founded by the Jesuits of the USA Central and Southern Province and is part of a larger Jesuit educational tradition in the Denver area along with Regis University and Regis High School, both founded in 1877. Arrupe is modeled after the extremely successful Cristo Rey Jesuit High School located in Chicago. 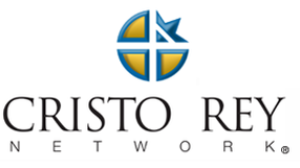 Arrupe is also part of the Cristo Rey Network® which is a national association of high schools that provides quality, catholic, college prep education to low-income families who otherwise could not afford such an opportunity. Cristo Rey-model high schools currently enroll 12,012 students in 35 schools in 22 states and the District of Columbia. Each school has its own identity and curriculum but is characterized by the Corporate Work Study Program.